Port Alberni air quality chair Sarah Thomas said she'd like more consistent monitoring at the facility. Emissions from Cantimber Biotech's facility on April 29. A cracked valve at Cantimber BioTech’s new facility was behind the odour and poor air quality that hit Port Alberni this weekend, according to director of project development and research Michael Liu. “We were informed by the port authority that nearby residents had experienced a smoke and odour from our operations,” said Liu, adding that they were informed on April 29. Liu said Cantimber—which operates out of port authority buildings at Harbour Road and Bruce Street—shut down operations immediately and had their engineering team investigate the issue. 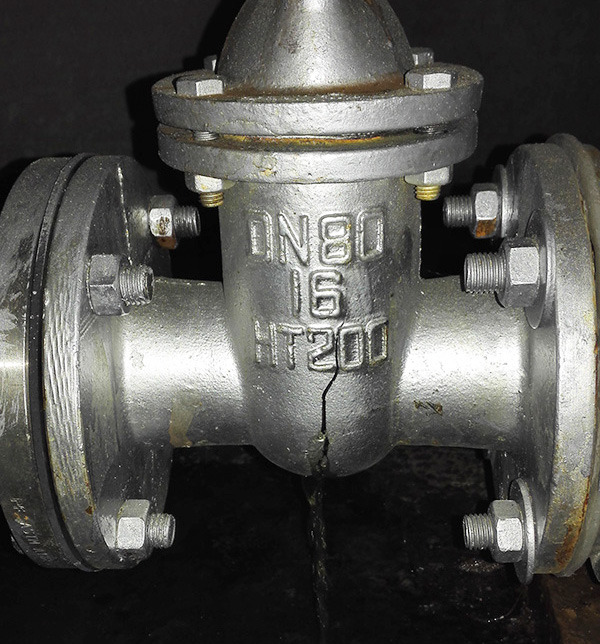 “We have identified a valve on the wet scrubber that cracked,” he said. Liu said that a new valves was ordered and received on April 30 but that the facility will stay shut down for approximately a week as they upgrade their dust control system. According to Liu, since the activated charcoal that Cantimber produces is used in drinking water and in medical facilities, keeping the process clean is key. “Because our product is going into potable water treatment and medical solutions, the design is based on the customers’ requirements and there’s no chemicals anywhere in our plant,” said Liu. However, air quality council chair Sarah Thomas said that she’d like to see more data—both collected and released. “My primary concern is emissions in the surrounding area for local residents, people who are using the area and employees in the local mills and at the facility itself,” said Thomas. The Ministry of Environment does monitor air quality in Port Alberni via a station at Alberni Elementary. Thomas added that although access to information has been difficult since Cantimber first set up shop in 2015, she’s cautiously optimistic about the company’s quick response to this weekend’s emission issue. “I appreciate Cantimber’s recent move to go to the public and have some conversation about the work that’s going on. I’d like to see more of that,” she said. The smell this weekend was caused by seed pods, Liu said. “The raw material used is mainly Douglas fir and hemlock and pine. So they’re just pine and fir pods,” he said. Despite that, local resident Stacey Gaiga, who lives near the plant, says that the air quality at her house was unnacceptable this weekend. “CanTimber is burning wood and it is impossible to sit in our backyard—we have to close all our windows because of the smoke,” Gaiga wrote in an email. The facility is currently in the commissioning stage of beginning operations, said Liu, adding that external environment engineering consultants have done an environmental impact assessment currently under review by the Ministry of Environment. However, Liu said that Cantimber would not release the study to the public. “The commissioning trials are very important to establish a safe and consistent production. We’ve conducted five commissioning trials on different occasions since December 2015. We did a series in January and March,” he said. An air quality monitor has been set up near the corner of Second Avenue and Bruce Street. “On the days of commissioning during March there was minimal impact on the local air quality. The air quality guidelines from the province are to be 25 micrograms per cubic metre or under and we were between three to five [micrograms],” said Liu. The facility should begin full-scale operations within three to four weeks.